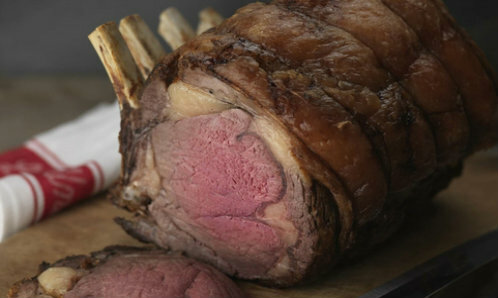 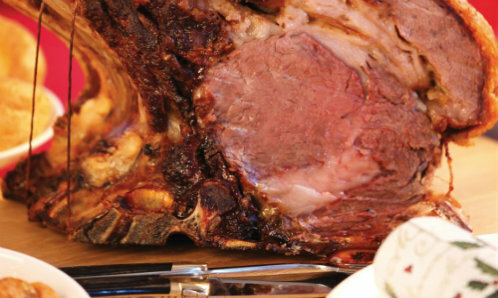 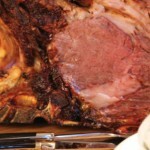 Roast rib of beef is the most traditional of beef roasting joints. 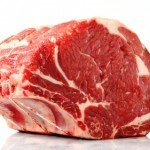 The quality of the meat matters and is the key to its success. 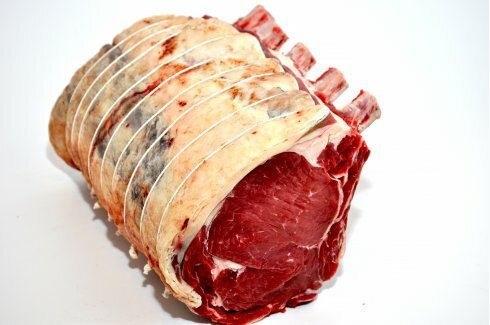 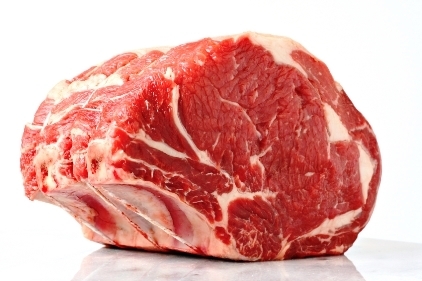 This beautifully trimmed fore rib of beef is matured for depth of flavour and tenderness. 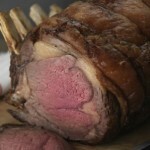 Leaving the beef on the bone adds to the flavour when cooking and looks impressive on the table.